Earlier this month the mayors of South Bend and Mishawaka stepped up to their podiums to deliver their State of The City addresses. Throughout their speeches they listed the various accomplishments of their cities in 2010, and laid out plans for 2011 and beyond. 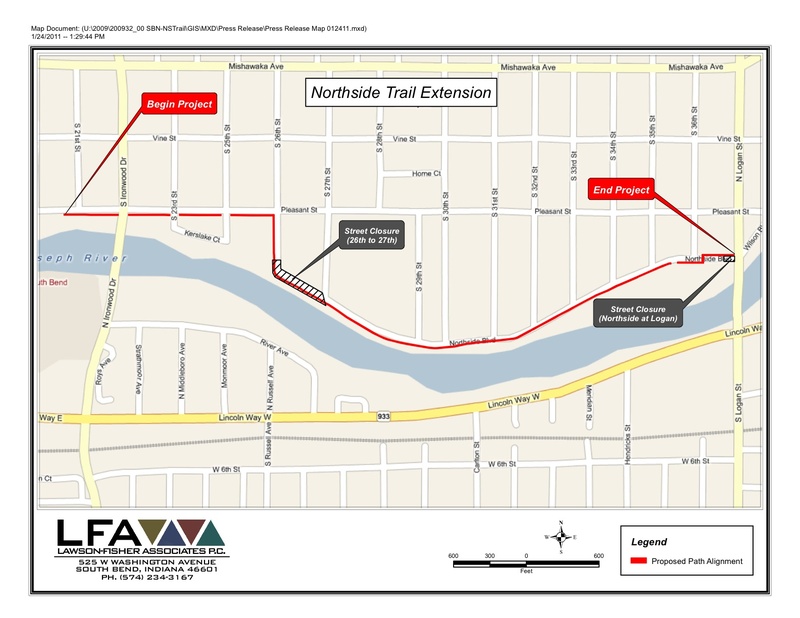 The City of South Bend has issued a media release regarding its preferred plan to connect the river walk between South Bend and Mishawaka. South Bend’s river walk currently stops at the IUSB campus, but the new section will extend it to Logan St, and thus provide connectivity to the Mishawaka river walk. For more information, please see the city’s media release or the article published today in the South Bend Tribune (freely available for one week). Have you ever wanted to bike Lake Shore Drive in Chicago, yet without the traffic? Sunday, May 29th will be this year’s Bike the Drive — the one day of the year for which Lake Shore Drive will be open to bicycles, yet closed to cars. Distances: Choose from 5, 25, 40, 60 or a century (100 mile) ride!